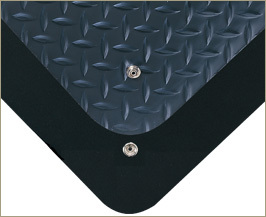 Electrically Conductive, 9/16" mats provide anti-fatigue relief for your employees and safety for your equipment. 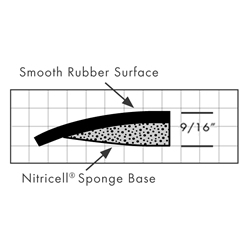 • Nitricell sponge base drastically reduces standing worker fatigue. 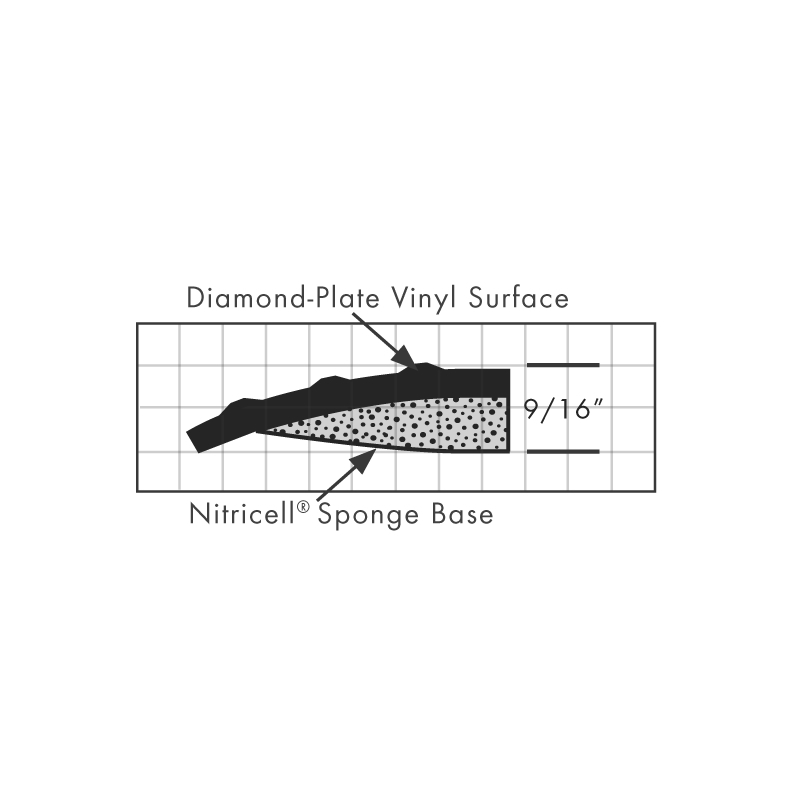 • Choose smooth rubber or diamond-plate vinyl surface. 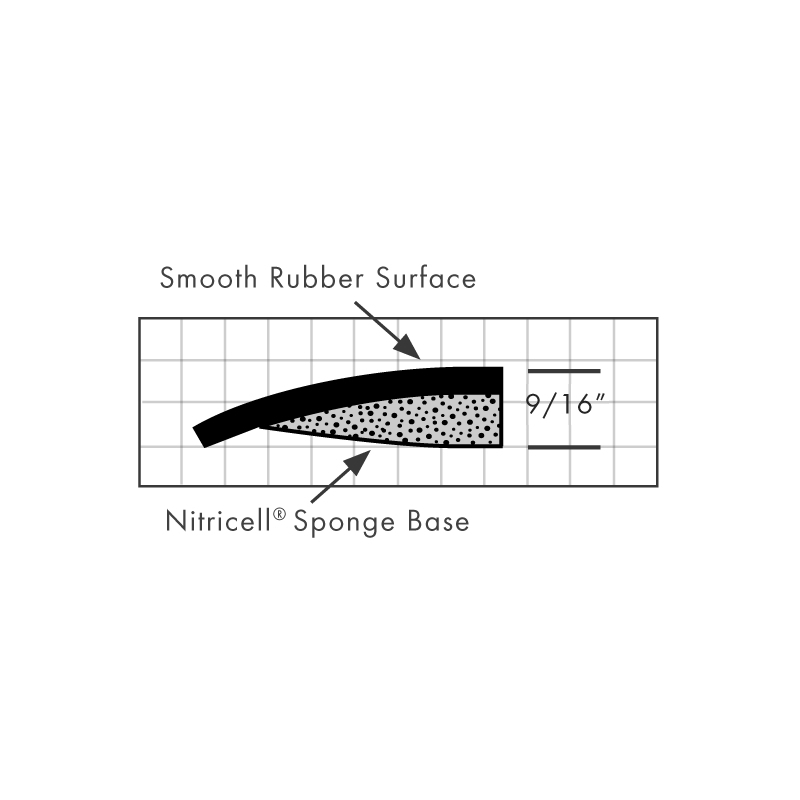 • Smooth rubber offers superb resistivity with an RTG (Resistance Top to Ground) of 1 x 105 ohm. 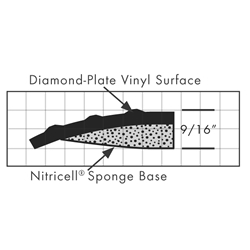 • Diamond-plate vinyl has a resistivity of RTT and RTG of 1 x 106 ohm. 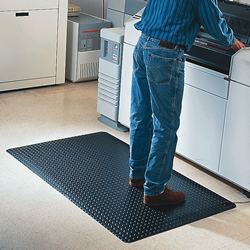 • Must use a ground cord, and employees should include heel grounders or conductive shoes.